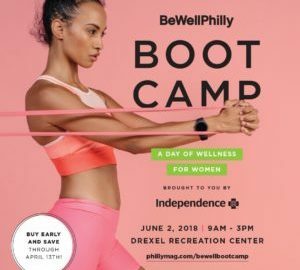 I am looking forward to the Be Well Philly Boot Camp this Saturday. From 10:30-11:00, in “The Lounge,” I will be talking about weight loss myths. Please come over and say hi if you’re there. And if there is anything specific you would like me to address, please shoot me an email. I will post a video of the talk early next week.